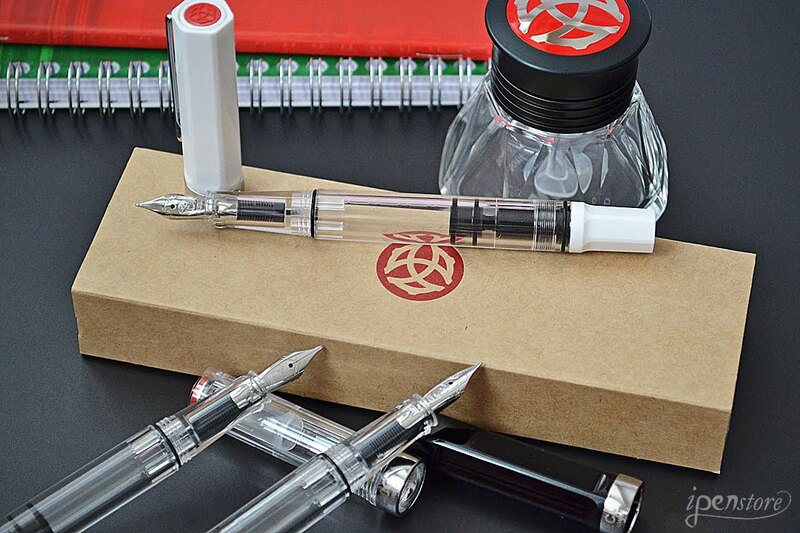 TWSBI Eco Clear piston filler fountain pens are good for all fountain pen users, from beginners to experts. This pen has a clear barrel, and then your choice of a black, white or clear cap and piston knob. Easy to fill- simply unscrew the end cap, dip the nib into ink, screw back the end cap, and you're ready to write! 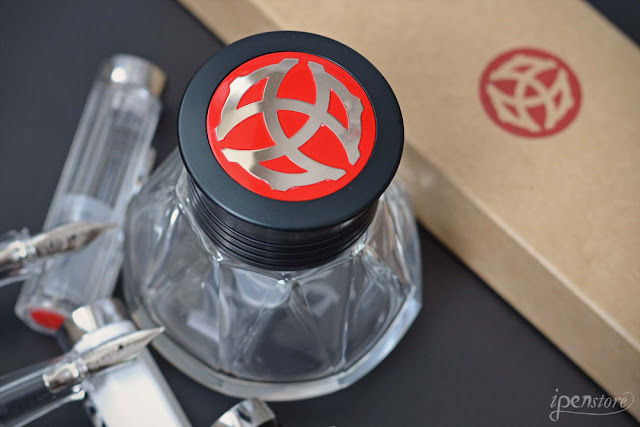 The pen cap features an inner cap to insure a perfect seal when stored away. The cap posts for writing, it is a bulky cap, however it's lightweight. Choose from 5 nibs options- EF, F, M, B, or 1.1. Nibs are easy to change, just pinch and pull. The piston system does need to be relubricated from time to time. A tool and the silicone grease needed for this are included with your pen. 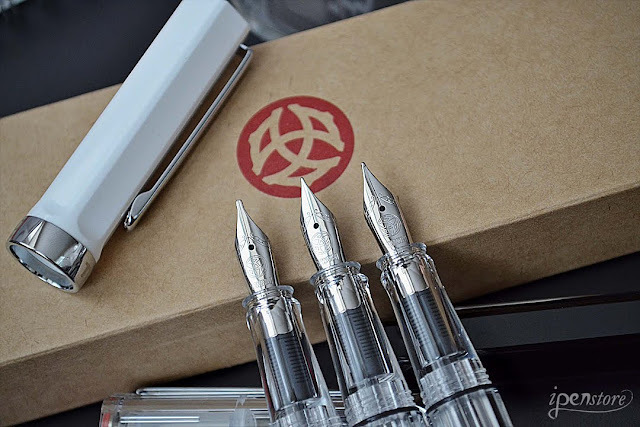 Don't be intimidated, it's a very simple procedure and there are handy instructions in the user's manual that comes in your TWSBI box to guide you. The TWSBI Diamond 50 Ink Bottle is a 50 ml empty glass bottle with an anodized aluminum top. It's the perfect accessory for any fountain pen addict. 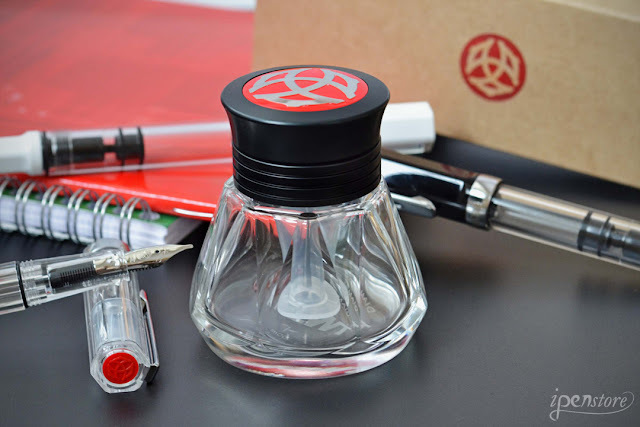 The bottle allows for easy refilling f your fountain pen by offering an upper reservoir that fills with ink when you turn the bottle upside down. The reservoir provides a set amount f ink t fill your pen and avoids the hassle of dipping your pen to the bottom of the bottle, trying to get each drop out as the bottle runs low. 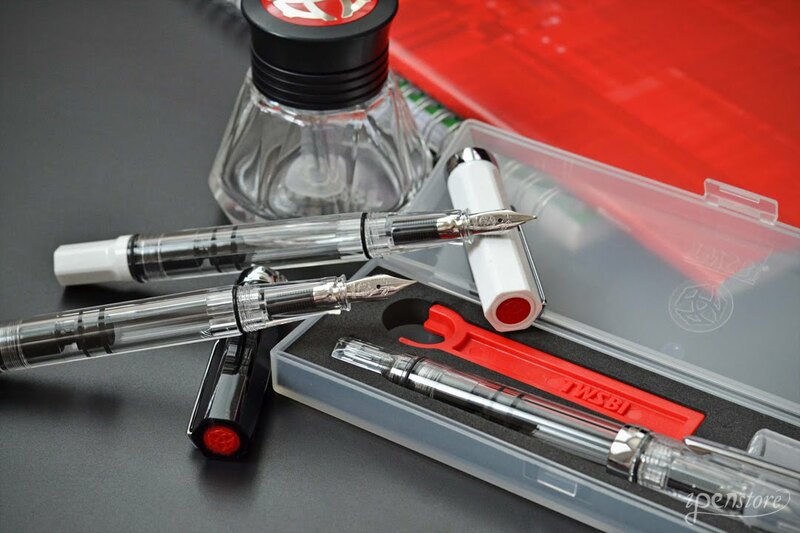 An added benefit to owners of the TWSBI Diamond 530, 540, 580 or Mini fountain pens is that you can use the colored band attachment to refill your TWSBI fountain pen without having to use the nib at all. Simply unscrew the front section of your Diamond fountain pen and attach it to the filling apparatus. Turning the piston knob of the fountain pen will draw the ink up into your pen. No more inky fingers!